Question: How can you practically touch the heart of your ten during a workshop? Answer: This is a Kabbalistic art: how to agree with friends in the ten, create such mutual understanding, mutual relations, and inclusiveness so that they see the goal that we want to achieve as the most important thing. Congresses are good because we are not distracted by anything. I came here and for me there is no one except the friends I am with now. I do not want to think about anything else. At this moment I want to achieve the sense that we are adding to each other in the ten where I will reveal the Creator. Nothing prevents me from this except myself. And my friends will act just like me. I have to believe that the Creator controls them and makes them the best figures for me. He plays with me through them. If I constantly try to work on myself, adjust to them, add to them, and collect them together into one single whole, then inside of them I will reveal the Creator between us. Remark: Studies show that performing acts of kindness very much helps a person to be positive, to live longer, to be happy, etc. My Comment: If we tuned ourselves this way every morning before leaving the house and from time to time during the day spent five minutes in this way—let’s say, four times a day for five minutes—then we would certainly change a lot. This is absolutely justified psychologically and clearly would affect the whole atmosphere. 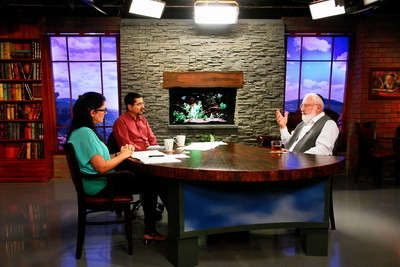 Question: What is kindness from Kabbalah point of view? Answer: Kindness means that at least I do not harm others, “Do not do to another what you don’t want others to do to you.” We must live with this principle. Question: So, what is next? Answer: Above it is not kindness, but love. In our time, just kindness would be enough. Kindness is when I am ready to respond to the ordinary requests of a person who do not infringe on my existence. An encounter with locals abroad can leave us with strong emotions and a sense of connection. This is because we don’t have any commitments when travelling so heart-to-heart communication is possible. If we were to eliminate the barriers between us in our regular lives, we could achieve these powerful emotions in our daily contacts.